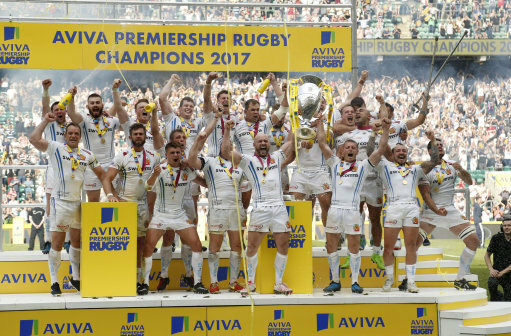 I'm guessing this photo won't be far from anyones mind when the Chiefs visit the Ricoh this weekend. 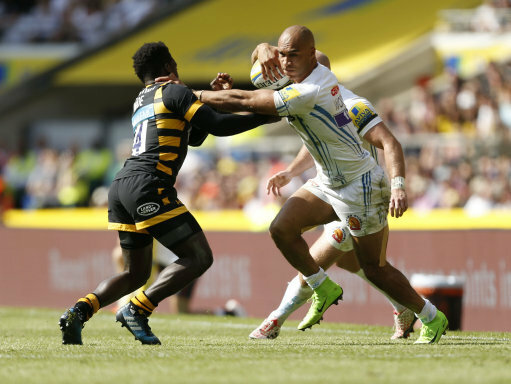 The rivalry between Chiefs and Wasps is rapidly becoming one of the key points in any Premiership season and they are usually hard fought affairs. Wasps will be in confident mood given their defeat of Quins whilst having 14 men on the pitch. Indeed their only loss in the last 5 Prem games was to Sarries at the Ricoh. Chiefs on the other hand have lost their last two Prem games on the bounce and will be looking to put an end to that trend. I'm sure Rob Baxter will have been getting the players really focussed on this game and ready to get back to the pace and accuracy we have come to expect from the Chiefs. The good news is that Alec Hepburn and Luke Cowan-Dickie have been released by England so should be available for selection. We're going to need their speed around the breakdown as well as strong scrum work on Sunday because we know how much Wasps love to run the ball. Mitch Lees and Johnny Hill should be in the engine house with The Don, Tank and Dave Ewers making up the back row. I don't imagine Rob Baxter will be making many changes to last weeks squad although I can see Ollie Devoto starting ahead of either Whits or Sam Hill just to add a little more creativity. I would like to see more of Santiago Codero but think he may well end up on the bench with Dolly, Lachie Turner and Olly Woodburn making up the back three. Nic White and Steeno should both be motivated to put in a good performance after last weeks misfire although I personally would really like to see Joe Simmonds given more game time. Whatever happens I'm hoping for a more 'Chiefs like' performance than we've see for the last couple of Prem games.